Data Strategist & Analyst. ENTREPENEUR. Sanne has a background in Psychology & Consumer Behaviour. After years of experience as a marketing data analyst in Telecom, Online Travel & Gambling he started The Data Creatives. Next to working as an Interim Marketing Intelligence Consultant and Product Owner for clients as Allianz Belgium, Centraal Beheer Achmea, Nuon, Eneco, Het Financieele Dagblad and the Bijenkorf he has a keen eye for spotting opportunities in data monetization and has rolled out several profitable data & intelligence services. 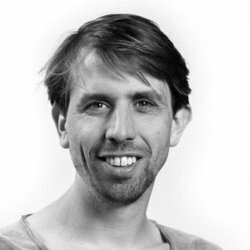 Sanne is a father of two, likes English & American literature, everything from Carl Sagan and programming in Python. Ruben is a Programmatic Advertising native, having worked in the industry since its introduction in Europe. After working at Trading Desks in the Netherlands and the UK, he started freelancing for companies on the buy-, sell- and adtech-side. Led by the increasing global demand for consultancy services in this area, Ruben started Ind-e.co to offer a wider set of services on a more scalable basis; signing clients like Ebiquity, Ebay, Forward3d, Total Media, Prohaska consulting and others - across the Netherlands, the UK and the USA. Ruben loves any data challenges and is currently acting as Chief Product Officer on a contract basis at Autheos, leading up the data-enrichment and monetisation product development. Outside of work he loves science fiction, blacksmithing and travelling. Thomas is specialised in getting complicated questions clear and provide data driven answers. He has a strong capacity to translate commercial questions into technical solutions and has a wide experience in Project Management and training people. Next to that, Thomas is an experienced data analyst, knows his way around databases and understands algorithms. After working in strategy divisions in the energy sector at Nuon and Eemflow, he headed up the Optimisation and Data Analysis team at Yieldr. He started freelancing with his own companyYooye in 2014.